Each year, there are hundreds of children in Chester and the surrounding areas in Delaware County that will not receive toys for Christmas without some help from people who care. 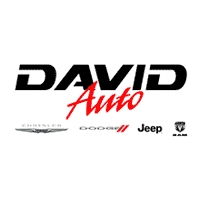 This year we at David Dodge Chrysler Jeep are teaming up with City Team Ministries to help. There are over 3,200 children registered with City Team in the Adopt a Child Program. We have personally committed to adopting 500 children but will need your help to make sure every child has a good Christmas this year. Thank you for considering helping us. Choose the number of children that you would like to adopt. The minimum requirement is 2 toys per child, according to their requests. Please budget $50-$75 per child. Some children ask for bikes; if you are interested in purchasing one, you may certainly add this in to the cost. We do not promise any child that they will get a bike. We also provide clothing sizes in case you are interested in buying extra items for the children. We do not promise the families that we will get clothes for the kids.